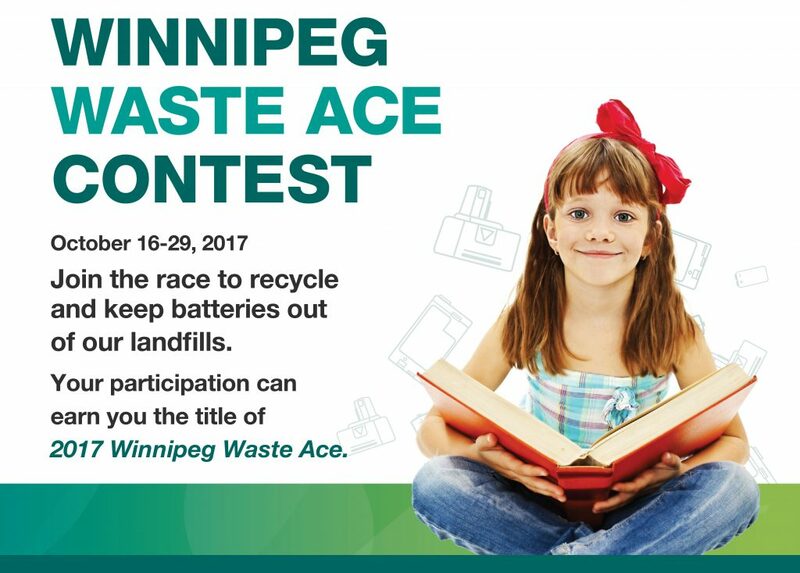 PREPARE: If you are already enrolled in the program, you will be receiving Call2Recycle program boxes labeled with “Winnipeg Waste Ace Contest: 10/16 – 10/29” to use in the contest. If you need to enroll, order additional boxes or have questions, please contact our customer service department via phone: 1.888.224.9764 or email: customerservice@call2recycle.ca. For more information, read the rules and regulations. To promote your involvement in the contest and encourage visitors to bring in their batteries for recycling, set-up a creative battery recycling display at your library! Call2Recycle offers posters in both English and French that you can also use in your display. Take photos and submit them to Call2Recycle before October 29 – your display may earn you the title of 2017 Winnipeg Waste Ace Most Creative Display. COLLECT: From October 16-29, 2017 collect used household batteries by establishing an exciting and creative battery recycling campaign. RETURN: On October 30 and before Nov 3, 2017, ship your filled collection batteries. Once your boxes are received, they’ll be weighed, sorted by chemistry and recorded to your account. All collections will be tallied by library and creative entries judged – winners announced on November 21st, 2017.